Golden Solar designs, develops and installs complete solar panel PV systems for residential and commercial installations around the state of Colorado. Our technicians provide exceptional solar power system installation all over the Denver metro area. We work with you from the design of your system to the install at your home. 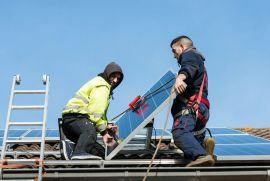 We work closely with Denver business owners to ensure your solar panel setup is appropriate for the size of your building and your overall energy needs. Microgrids are useful for homes and business throughout Denver as this can operate as a physical autonomous unit. 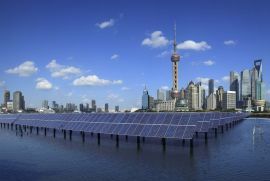 Should your power go out, the microgrid will kick in. Reshape the solar experience with using the best energy source: solar power! Golden Solar will guide you with your insurance claim, inspect your solar system current health and integrity and install back-up with a comprehensive labor warranty. Decrease your carbon footprint to start adding value and opportunities to the upcoming generations. Minimize the risks with a low maintenance system and track performance, yield and more out of the built-in monitoring system. One-stop solution for your solar needs. Golden Solar will guide you through the entire solar experience. 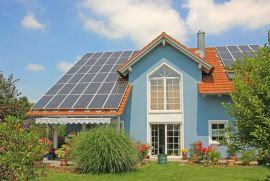 In Denver, there are many benefits in updating your home’s energy to solar power. 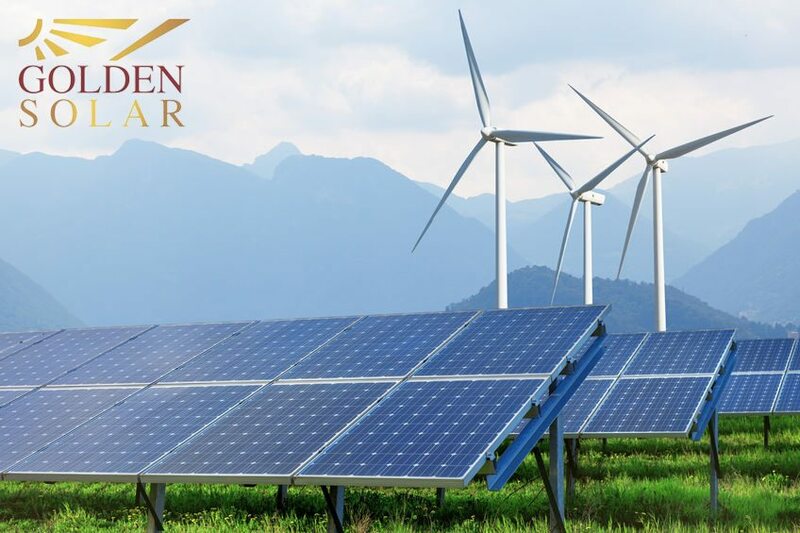 Golden Solar is a solar energy company and solar contractor in Denver focused on getting you ahead of inflation by saving you money while enjoying the tax-free stream for several years to come. Many Denver residents are dealing with fluctuating energy bills, but with a solar power company who believes in the difference that natural energy usage can make, you too can start to save by using the world’s more inexpensive energy source. 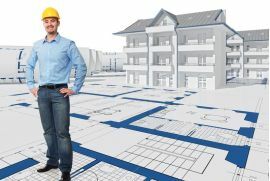 With solar energy panels in Denver, you can quickly increase your return on the investment by taking advantage of the Federal Tax Credit and various utility incentives. After your solar panel installation, you will instantly be able to begin saving on artificial energy source usage. Gain extra equity out of your most valuable asset and increase your end game when selling your house in the future! Solar panels in Denver are the eco-friendliest energy source, as it decreases your carbon footprint while added value and opportunities to the upcoming generations! To know what is available to you with solar energy panels in Denver, you can already know the difference it makes upon the world. Golden Solar is a solar company in the Denver metro area, dedicated to saving the ecosystem with more solar power energy than the latter. Minimize the risks with a low maintenance system and track performance, yield and more out of the built-in monitoring system. As of the leading solar power companies in the Denver metro area, we assure you that making the decision to switch your Denver home to solar energy will be beneficial to you in almost every way. Whether you are a homeowner, business owner, or a non-profit organization in the Denver metro area, Golden Solar will work with you closely to design your custom solar panels, as well as an array of financing options. 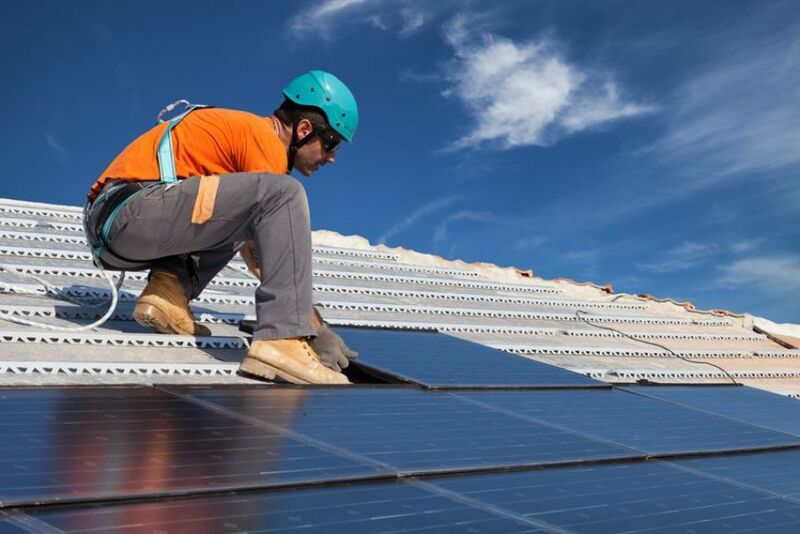 Our solar contractors are extremely friendly and will provide you with quality solar panel installation, where ever you are in the Denver metro area. If you are a home owner, business owner, or non-profit organization considering the wonderous possibility of solar power in the Denver metro area, let the solar contractors at Golden Solar provide you with all the information you need to get started with solar energy. The installation of solar panels on your Denver home will reduce your carbon footprint, and will dramatically reduce your energy costs. Our team has one of the best customer service reputations in the solar energy world, and we would love to help you make the switch to solar power. Give us a call today! We would love to hear from you!